PLANS for a new primary school in Caversham Heights have been given the green light. Reading Borough Council’s planning committee, which met last night (Wednesday), recommended that planning permission is granted for the Heights Primary School to be built on part of Mapledurham playing fields, off Upper Woodcote Road. The final decision will be made by the council’s head of planning by May 30. It effectively ends years of wrangling over the free school, which opened in temporary premises off Gosbrook Road, Lower Caversham, in September 2014. 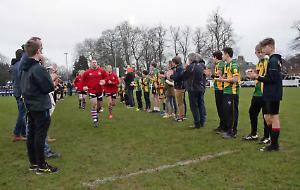 For the full story and reaction see next week’s Henley Standard.